Mesa (Microsurgical Epididymal Sperm Aspiration): Mesa is an open surgical sperm retrieval procedure that uses an operating microscopy to locate the tubules of the microscope precisely, so that large number of sperm can be retrieved. It is found that the Mesa is the best treatment which has the highest success rate of the sperm retrieving technique. It gives the maximum number of sperms with about 100 times more sperm than what in TESA treatment. The sperm produced by Mesa are of the best quality which is good swimmers and therefore is more useful and successful for the treatment of infertility and all others which need the fresh sperm. A scrotal skin incision is made, and the testis and epididymis are exposed. Using an operating microscope, a single epididymal tubule is opened and sperm aspirated. 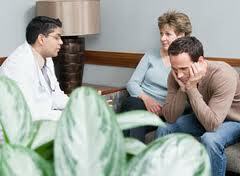 Mesa is the best preferred by the doctors for the collection of best quality of sperm. Mesa cost suits the pocket of the client and supports the need of the treatment. The treatment cost will be reasonable for the intending male to end the struggling phase with the sperm collection and thus end your infertility. The estimated cost of the mesa treatment will exactly coincide with the cost of the treatment after the procedure. The doctors and the team members will be co-operative with the patient such that they could very early start the treatment as if any financial obstacles are they. The centre financially support the client of need such as there is the provision of instalment facilities, the centre would provide you the appropriate discount to the intending patient. However, the cost of the treatment is very nominal that the patient does not need the facilities and can afford on their own. A total of cost of the treatment will be about 15, 000 INR (250 USD). The mesa cost will also vary upon the amount and the number of sperm needed. The total of the charge of the treatment includes all the needed medical facilities charge starting with the medications and ending with the doctor and equipment charge. The advantage over the treatment is also that it does not use more of the medicines rather it is small microscopic theatre work which recovers soon. For whom the treatment is recommended? In a very simple and common way, Mesa is followed by male with obstructive azoopsermia. There is no sperm in the ejaculate, as the vas deference is absent or blocked. It is the minor theatre procedure helped by the urologist. Sperm ejected by the process can also be used to fertilize with the egg in a laboratory and have the essence of fatherhood. The sperms are also used to in freezing procedure as can be taken in further use. Couples struggling with the male infertility due to the blockage of tubules are recommended to retrieve the sperm through by the Mesa treatment which will give you the best quality sperm and multiple numbers of sperms. Multiple sperms will help the doctor to form multiple zygotes after which the selection of zygote for the further development is possible. Mesa treatment is a short duration microsurgery theatre work which will end the problem of infertility in the present and in future. The retrieved sperm of your own can be freeze which you can accordingly use in future as per your choice. The centre is very fair to all the clients visiting our centre. We very intentionally care about the time of the patient in the generation of a new era which is full of work and work. We do not let the patient return back without treatment albeit of a bulk of patients in the list of the centre. For the procedure, the sterilized equipment are made in use. Using the proper equipment and medical facilities will just ensure the success and increases the success rate of the treatment. The treatment involves a very short theatre work which is painless taking the minimum of your time for the sperm collection. Mesa treatment follows the similar process as of Tesa treatment.